Vivo V5 was launched in November 2016 at cost of Rs. 13499/-. The phone has well received in the Indian market and has good sells. If you are using Vivo V5 this article is useful for you if you want to flash stock firmware on Vivo V5. 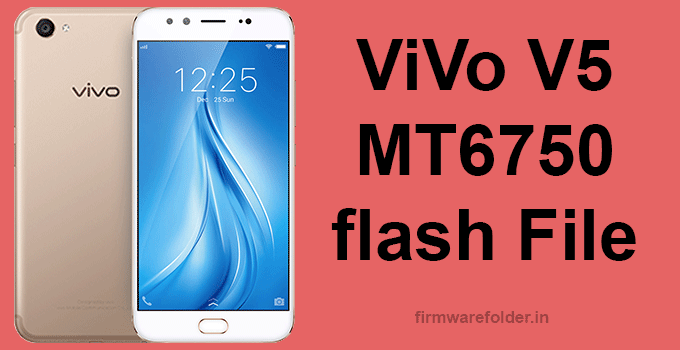 This article provides Vivo V5 flash file download link and complete procedure of flashing Vivo V5 stock ROM. Things to Remeber before flashing Stock Firmware. This firmware and the download link is only for Vivo V5 MT6750. Don’t try it on any other model. This firmware method works on any MTK based firmware, so follow all steps carefully. 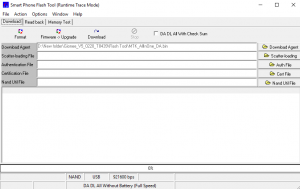 You need to install MediaTek VCOM drivers and adb drivers for Vivo V5. Backup all your data before flashing stock ROM on Vivi V5. Step3: Now Download SP Flash Tool and install it on your computer. Step4: Open SP Flash tool and in download section click on the scatter-loading option. Step5: Select the file you extracted from the downloaded zip of Vivo v5 flash file. Step6: Click on Download button on the tool. Step7: Now, Turn off your phone and press Vol Down + Power Key simultaneously to enter in Fastboot Mode. Step9: Flashing process will start. Wait for some time to complete the process. After completing flashing tool will show the green arrow. Your phone is now updated to stock Firmware. I hope you found this article useful and will be able to Flash stock Firmware of Vivo V5. i forgot pattern vivo v5 and answers. i am trying to hard reset (after switch off vol+ & power button ) but when click on wipe data come pattern. but when plug usb cable (hold & press using vol+ in switch off) sp flashtool no activity.